This evening I attended the latest meeting of the Harris Academy Parent Council. I always enjoy the opportunity to hear about the latest happenings from Harris Academy. Tonight we heard about the school's exam results and it was good to hear about young people doing well. There was also a discussion about how the proposals for the new school are progressing. It is clear that the plans are progressing. In November there will be an exhibition of the proposals for the new school. I would urge anyone with an interest in the project to get along to the exhibition. After Tuesday night's meeting looking to set up a traders association for the Perth Road, I agreed to take part in a walkabout along the Perth Road which took place this morning. The walkabout was designed to look for issues that could raised which if they were corrected would improve the Perth Road. There were a number of issues which were noted and hopefully these will be passed on to the appropriate department of the council or other body and action will be forthcoming. I am clear that if there was a traders association in the Perth Road that it would be an effective voice which would be difficult to ignore. The Perth Road is an excellent shopping centre and has a rich and varied mix of shops which we should try to protect. I hope that traders in the Perth Road will join together to form an effective association in the near future. This afternoon I was really pleased to attend the open day at St Joseph's Primary School. The school was open to allow people to have one last look at the old building before it closes at the October holidays. The current St Joseph's School building is 80 years old and there has been a Catholic school in this area since way back in the 1850s or 1860s. 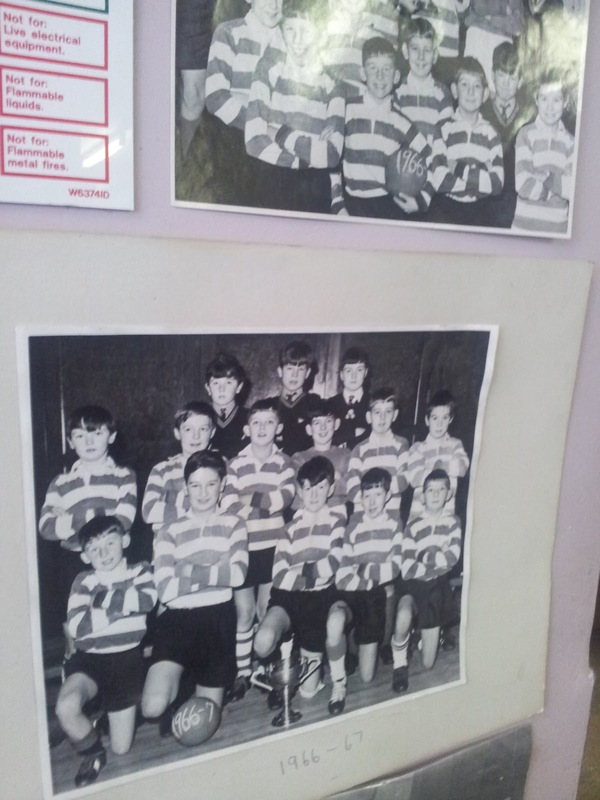 So there is a long tradition and history in St Joseph's. After the October holidays a new chapter of its history will open for St Joseph's in the shared campus on Blackness Road. There were a number of old photographs on display today and I enjoyed the opportunity to speak to a number of former pupils who were reminiscencing about their school days. It was great to hear their stories. I hope that the pupils who will move into their new school will have as many good stories and good memories of their schooldays. Like every move no doubt there are a mix of emotions, sadness at leaving an old home and excitement about the new home. 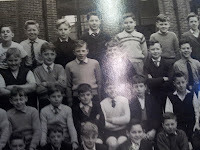 I hope that the move is a great success and I hope that all those who were educated in the present building will have happy memories of their time at St Joseph's. On Monday evening at the City Council's Education Committee we considered the Education Department's Service Plan, the plan is found at page 4 of the pdf document. There was a very interesting exchange of views on this important and ambitious document. My colleague Laurie Bidwell worried that the resources might not be there to deliver on these ambitious plans. We then saw the benefit of having teacher representatives on the Education Committee when Arthur Forrest spoke. Mr Forrest spoke about the 'extreme problems' in Dundee's schools trying to get supply teachers. He pointed out that often support for learning teachers who are employed to assist children who need extra help can often be tasked with covering for other classes, this means that the young people who require extra help and support go without appropriate support. Mr Forrest also described how school management teams are often 'fire-fighting' rather than implementing changes. He told the committee that 'It's vital that we are aware of the pressure on schools.' This warning from the 'chalk-face' is very important to all of us who have the best interests of education in the city at heart. The Director of Education accepted that there were problems in terms of staffing and highlighted that there were 56 teachers currently on maternity leave. I am sure that he was not suggesting that this was a problem. The provision of maternity leave was a major step forward in terms of wokers' rights and is something that I would defend. I think that behind the statistics is the fact that perhaps not all of the jobs which have been declared to be redundant in the recent rounds of early retirement and voluntary redundancies were actually redundant. It is important that the Education Department keeps a close eye on this and ensures that every school in Dundee has the resources it requires to deliver the service we expect. There is no point in asking teachers to deliver an ambitious development plan if they are being asked to do so with one hand, metaphorically, tied behind their back. I was also interested to hear that the Education Department has a special meeting to look at budget setting which is described as the 'Star Chamber.' I was impressed that the SNP Administration in the city were happy to allow the use of this term first used by King Edward II of England. Historians will be aware that this is the Edward who was sent 'homewards tae think again.' I do wonder how many other ad hoc committees are taking place across the council and wonder if this being done in an orgainised manner. 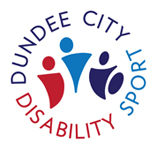 On Tuesday evening I attended the monthly meeting of Dundee Disability Sport. It was great to get the chance to touch base with the organisation and here about the great work being done in disabled sport in the city. I know that a number of people will have seen the Paralympics and will have seen some excellent sport. It was great to hear about a wide range of sports available for disabled people. It was good to hear about the Discovery Games. There was a discussion about the provision of mini-buses for the disabled sports people. I will be looking for a briefing from the council on its plans for the management of the council's fleet of vehicles and to see how the council will accommodate the needs of disabled users and possibly assist Dundee Disability Sport. I was pleased to attend a very well-attended meeting of Perth Road Traders which is looking to set up a traders association in the Perth Road. We are very lucky to have such a vibrant local shopping centre in the Perth Road. As a local resident I regularly use the shops on the Perth Road and I want to ensure that they remain vibrant. I think that a traders association on the Perth Road would be a good idea and I hope that those who are looking at this will develop concrete proposals on this. I think that there is a lot that we could do on the Perth Road to enhance the area and promote it as a district shopping centre. I am looking to work with local traders to see what the council could do to help the Perth Road and make it better. If any trader in the Perth Road has any concerns then I am happy to hear from them. It is important that a vibrant and diverse shopping area remains on the Perth Road. At the Social Work and Health Committee last night my colleague Kevin Keenan tried to raise the issue of the Kemback Street Day Centre. The SNP Administration chose to hide behind the standing orders to say that the item cannot be discussed for another month due to the six month rule which the council applies. This is despite the fact that this rule has been relaxed by the Administration on several occasions already in this term of the council. I was glad to read reports that members of the Kemback Street Action Group are to have a meeting with the Director of Social Work. It is good to see that their campaign is paying off and that at long last they are being listened to. I hope that this meeting takes place sooner rather than later. Despite the fact that the issue should have been discussed last night I look forward to receiving the report on this issue at the next meeting of the Social Work and Health Committee. I was glad that the Convener was able to re-assure me that this report will issued timeously and certainly in line with the council's standing orders. I am looking forward to receiving this report timeously and at the latest on the 19th October 2012. I can only hope that it is clearly written and has taken on board the concerns that the service users and their carers have been so eloquently expressing. I have made clear my view that the council should listen to the concerns that have been raised and I look forward to the next meeting of the Social Work and Health Committee when I hope these will be adequately addressed. At the City Council's City Development Committee this evening there was a report about a school keep clear order for Glenagnes Road. I welcomed this report. As a local resident I have been seeing various signs and barriers going up in the area surrounding the new schools on Blackness Road/Glenagnes Road. I asked for a reassurance on a couple of matters. Firstly, I wanted a reassurance that once the council approved the keep clear order that the appropriate signs and road markings are in place in time for the opening of the new schools. I was told that this was the case, which is good news and I will certainly be keeping an eye on this. I also asked for some reassurance that traffic at this site and in the surrounding area will be monitored after the schools are open and that action will be taken swiftly if it is required. I think that this is important for the road safety of everyone attending the schools and also, importantly, for local residents. Once the schools open the level of traffic in this area will rise substantially it is important for school users and local residents that this is monitored and action taken to prevent problems. I was pleased to be told that this was the case but I will be keeping a very close eye on this issue because it is essential that problems are dealt with quickly. I will also be looking to hear from local residents and parents, carers, pupils and staff about traffic issues in this area. On Monday afternoon I was pleased to be able to attend a concert at St Joseph's Primary School to celebrate the 'end of an era.' St Joseph's is moving to its new building on Blackness Road after the October holidays. They were celebrating the 'end of an era' after 80 years in their current building next to St Joseph's Church. In the concert each class sang songs from a different decade of the school's history. It was a really great performance by all of the young people involved. The event reflected well on them, on the teachers and the parents and carers who had played a part in preparing for the event. Well done to everyone involved.